A few weeks before he was shot and killed last month, the 20-year-old rapper XXXTentacion was on the phone with the record executive who had taken the first chance on him, hammering out a contract for his much-anticipated next release. Since barreling into the mainstream last year, XXXTentacion had become one of rap’s biggest and most controversial new stars, with a No. 1 album and a fervent congregation of young fans. At the same time, disturbing allegations of abuse had made him a potentially toxic business partner, especially after Spotify briefly banned his music from its playlists under a short-lived “hateful conduct” policy. 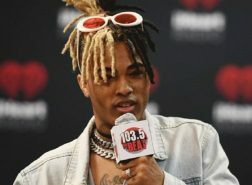 Yet even with the Spotify scandal still dampening his business, XXXTentacion signed a new agreement with Empire, an independent music company that last summer had released his first album, “17.” The latest deal, for XXXTentacion’s third official release, was worth about $10 million, according to three people briefed on the terms — a rich sum for a young artist, but also only the latest sign of a heated market for online rap stars. 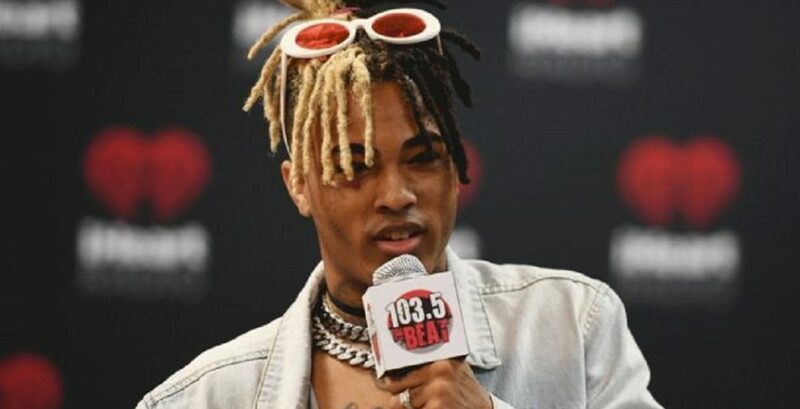 Because of a clause in XXXTentacion’s last record contract, with a distribution unit of the giant Universal Music Group, the record may not be released until at least October, despite typical industry pressure to strike while the late rapper’s name is still in headlines. Since his death on June 18, XXXTentacion’s weekly streams have quadrupled, sending both of his albums back into the Top 5 and earning the rapper a posthumous No. 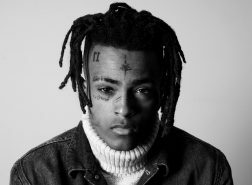 1 single, for “Sad!” That track’s new video — which was released the day of XXXTentacion’s funeral and, in an eerie twist, shows him fighting with his own corpse — has been viewed nearly 58 million times on YouTube, helping to bring total audio and video streams for XXXTentacion’s music to a whopping 4.6 billion, according to Nielsen. In his business dealings, XXXTentacion was emblematic of a new generation of stars who form deep connections with listeners online, release music whenever they want and remain wary of traditional record deals. For these artists, streaming numbers are paramount, and XXXTentacion was concerned about the impact of the Spotify ban, Mr. Shami said. “Are you sure you want to sign me, even when my streams are down?” Mr. Shami remembered XXXTentacion asking him. XXXTentacion, a native of South Florida born Jahseh Onfroy, was in many ways the most representative artist — “the zenith point,” Mr. Shami said — of the loose-knit SoundCloud rap scene. Though he was billed primarily as a rapper, XXXTentacion also dabbled in genres like punk and emo, favoring a lo-fi aesthetic that came from recording at home instead of in professional studios. With his free releases, he gained an audience of millions before most traditional gatekeepers even knew he existed. But while building that audience, XXXTentacion had repeated conflicts with the law. Bob Celestin, a veteran entertainment lawyer, began working with him in late 2016, while the rapper was jailed on charges including aggravated battery of a pregnant woman, his former girlfriend. “The first time I met him, he was in shackles,” Mr. Celestin said. With XXXTentacion’s self-released song “Look at Me!” exploding online, he began to be courted by major-label scouts offering six-figure deals, Mr. Celestin recalled. The rapper rejected those more traditional deals in favor of a one-album contract with Empire that offered a lower upfront payment but gave him full ownership and a higher royalty rate. “He wanted to control his destiny,” said Mr. Celestin, who declined to comment on any further details of XXXTentacion’s deals. “17,” released in August 2017, opened at No. 2 on the Billboard chart, just as graphic details about XXXTentacion’s legal case began to trickle out in the news media, sparking a debate among critics and fans — but also raising his profile. With his streaming numbers soaring, XXXTentacion soon signed another lucrative deal for a single album, with Caroline, a Universal distribution arm, for a reported $6 million. Along the way, he earned rapturous praise from the hip-hop elite. “Listen to this album if you feel anything,” Kendrick Lamar wrote of “17” on Twitter last year, adding: “Raw thoughts.” Mr. Lamar’s team was among those who lobbied Spotify to roll back its conduct policy, returning XXXTentacion to influential playlists. With support from the Capitol Music Group, the Universal label division that includes Caroline, XXXTentacion’s second album, “?,” opened at No. 1 in March. Two months later, Spotify introduced its “hateful conduct” policy, which, besides XXXTentacion, affected only one other artist: R. Kelly, who has for decades been dogged by allegations of sexual misconduct. The degree of Universal’s involvement in XXXTentacion’s posthumous career is unclear. In April, the company signed a deal for Empire to provide distribution services for “select artist projects” on Universal; Mr. Shami and a Universal spokesman said there had been no discussions about whether they would work together on a forthcoming XXXTentacion record. The rapper’s estate also has a deal with Bravado, a Universal-owned merchandise company. While XXXTentacion’s existing deal with Empire covers only his next album, the rapper likely had a deep archive of unreleased material that his estate may continue to license for years to come. “X was always recording and making music and being creative,” Mr. Celestin said. A representative for XXXTentacion’s family declined to comment.